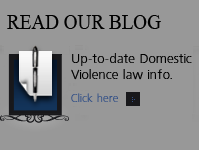 Colorado Criminal Law Domestic Violence Right to Bear Arms - Denver Criminal Attorney Specializing in Domestic Violence Cases - Colorado Criminal Defense Lawyer. The Lautenberg Amendment to the Gun Control Act of 1968, effective 30 September 1996, makes it a felony for those convicted of misdemeanor crimes of domestic womans health violence to ship, transport, possess, or receive firearms or ammunition. The Amendment also makes it a felony to transfer a firearm or ammunition to an individual known, or reasonably believed, to have such a conviction. Soldiers are not exempt from the Lautenberg Amendment. Depending on State law, and the type of Felony conviction, there may be a restriction to the right to possess firearms. The Lautenberg Amendment. The Federal Gun Control Act of 1968, as amended in 1996, makes it a federal felony for anyone who has a qualifying misdemeanor conviction for domestic violence to ship, transport, possess, or receive firearms or ammunition. For the Lautenberg Amendment, “misdemeanor crimes of domestic violence” are predicate offenses; any crime that “has, as an element, the use . . . of physical force” qualifies as a misdemeanor crime of domestic violence. Military regulations have made the act applicable to domestic violence felonies. 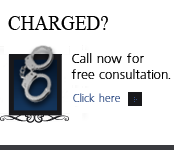 What qualifies for a felony conviction must be examined in each case and considered for its elements. For example under current law in the 9th Circuit, Federal Court of Appeals… violence. has been interpreted to be “physical force” more forceful than de minimis (minimal ) contact, that being something like bare physical contact, whereas other Federal Courts have considered any bare physical contact with another as a use of “physical force” against that person. There are no exceptions to the Lautenberg prohibition and unless it is avoided entirely, or cured by dismissal, expungment or some legal action to remove it from the individual’s criminal history… the soldier or police officer’s career is at risk since he/she cannot legally carry weapons or ammunition until it is cleared. It is also a felony for someone to issue or dispose of firearms or ammunition to anyone with a qualifying conviction if you know, or should know, about the conviction. At the time of the crime, the Soldier/Airman must have had a particular relationship with the victim, such as current or former spouse, parent/guardian, or the like. Any State law designation of domestic violence is just that, a State law designation and whether Federal Law considers it.s a violation is based on those matters discussed above. Based on Lautenberg and Army Regulation, any offense that involves the use or attempted use of force, or the threatened use of a deadly weapon on someone with whom you had the qualifying. relationship, may be domestic violence under FEDERAL Law even if state law does not recognize such when the charges are plead. The least offense that could apply is harassment by offensive physical contact, and often is charged along with Assault / domestic violence, and while the harassment is not shown as domestic violence if the offensive contact arises to a qualifying use of force against the other person then it may be a Lautenberg Violation. If the underlying charge is for reckless or negligent conduct then pleading to that should not implicate Lautenberg, whereas intentional or knowing conduct would. Otherwise, for assaults or harassment, offensive physical contact, a plea clearly to Non-violent de minimus force – that being force less than that necessary to constitute the use of force under Lautenberg might be advised, and might take the matter out of Lautenberg even if intentional or knowingly done. Such de minimus contact should be documented in the case file, plea petition and preferably the Judgment order. That said, a State Court Judge really cannot say that a case IS or IS NOT a Lautenberg issue, but instead will usually warn someone that it may be. If there is a qualifying conviction, one should not accept possession of firearms or ammunition, military or otherwise. To do so violates the law and subjects the individual to criminal prosecution, as well as possible adverse administrative action by the military. Remember, it is not a federal felony under the Lautenberg Amendment to merely have a qualifying conviction. You are committing a felony only if you have such a conviction, and then possess firearms or ammunition. 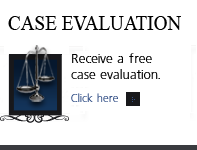 Therefore, if you have a qualifying conviction, or may have one, it is in your interest to avoid possessing firearms or ammunition and violating the Lautenberg Amendment. If there exists a qualifying conviction, it is possible that a soldier or police officer may never be able to legally possess weapons or ammunition again. What is certain is that if there is a knowingly violation of the the Lautenberg Amendment, there is the commission of a crime and the consequences to the individual’s civilian life and military career will likely be much worse than if there exists a mere qualifying conviction.